Click here for more info on the Scholarship! I admire your fervor. I feel, as I believe you do, that we must fight hard and long against terrorists. As you've observed, I'm willing to issue - and rally to - a war cry. I have been more involved with the issues surrounding September 11 than with its symbols, so I have not closely studied the Flight 93 Memorial winning design. The words of the founder of the Republican Party resonate with me: "we cannot dedicate, we cannot consecrate, we cannot hallow this ground. The brave men, living and dead, who struggled here, have consecrated it far above our poor power to add or detract. The world will little note nor long remember what we say here, but it can never forget what they did here. It is for us, the living, rather to be dedicated here to the unfinished work which they who fought so nobly advanced." From what I've read and seen, Paul Murdoch's design seems beautiful, and fitting. I cannot agree that to promote healing and contemplation evokes defeatism. Yes, I have concerns about the chosen design. I hope its signage gives due credit to the small group of men who did the actual fighting. I hope it expresses American resolve to fight terrorism on our soil and abroad. I hope it proudly displays the Red, White and Blue. At the same time, I hope it expresses American love of justice, inclusiveness, acceptance, and peace. So the maples form a red crescent. Well, good. I only regret that the reference was inadvertent. If the design selection committee, and the designer, had intended to evoke the symbol of Islam (which they did not) should we criticize them? It is a serious mistake to daub all Muslims - and the crescent symbol of Islam - with the same broad "terrorist" brush. Unrecoverable fragments of my son's body are embedded in the soil at that site, along with the bones of the other heroes who fought beside him. There too are the bones of the misdirected zealots whose twisted religious ideas caused all their deaths. The mothers and fathers of those terrorists - and the terrorists themselves - are all human beings who struggled for their version of the right. Those parents mourn their children's deaths, just as we mourn our children. I condemn their children's last violent acts. I condemn their children's twisted view of Islam. I do not condemn their faith. I do not condemn Islam, or the crescent symbol of Islam. Islam is not al Qaida. Al Qaida is not Islam. I support our troops, and urge all Americans to remember our strong fighting men and women in uniform, such as Mark's good friend and U.C. Berkeley Chi Psi brother, Spencer Kelly, recently returned from Afghanistan. I also support peace and goodwill. I call upon all non-Muslim Americans to consider that if we refuse to extend a hand to our Muslim brothers and sisters, we will lose an important opportunity to deepen our understanding of them, and their understanding of us. Whether we like it or not, we all - Muslims, Jews, Christians, and nonbelievers - are in this struggle together. The human being who can transcend bitterness and extend a hand in friendship - as Mark Bingham did every day of his short life - does more to combat terrorism than any military force. I hope you and I can tackle an issue or two together sometime. Re: Flight 93 Memorial Design "Crescent of Embrace"
I regret to learn that you, a respected member of Congress, have written in opposition to the newly chosen "Crescent of Embrace" design for the Shanksville, Pennsylvania crash site of Flight 93. You have remarked that it looks like "a tribute to the hijackers." Sir, I hope you will give this issue your deeper consideration. Paul Murdoch, designer of the Flight 93 Memorial, has provided for a graceful curving crescent of red maple trees which are native to the western Pennsylvania soil in which they'll be planted. Shall we reject this design, carefully chosen after months of consideration and hard work, because of its crescent shape? I hope the Flight 93 Memorial gives due credit to the small group of patriotic and brave men who did the fighting as well as to all the beautiful souls lost aboard Flight 93. I hope it expresses American resolve to fight terrorism on our soil and abroad. At the same time, I hope it expresses American love of justice, inclusiveness and peace. The Flight 93 Memorial selection committee has admitted to misgivings about the term "crescent." I almost wish that instead, they could claim that they deliberately chose the crescent design as a gesture of peace and unity with the Islamic world. If they were to make that claim, I would not object. I would welcome such a compassionate gesture. When he and his stand-up band of brothers stood and fought aboard that doomed aircraft, my son Mark was not fighting Muslims in general. He and his seatmates were battling the disciples of a corrupt version of a peaceful religion. The crescent moon does not represent al Qaida and other terrorist groups. The crescent represents the religion of Islam. Islam is not al Qaida. Good Muslims everywhere speak and act continually against terrorism and terrorists. Mr. Tancredo, I earnestly hope you agree that America should not condemn Islam and all Muslims for the murderous acts of splinter groups of Muslims who choose to distort certain passages of the Koran and aspects of Islamic belief to suit their ugly purposes. Let us remember that al Qaida and other terrorist groups do not represent Islam, any more than America's homegrown groups of bigots represent the ideals of the United States. If we condemn Islam, we disserve the millions of United States citizens who are Muslims. 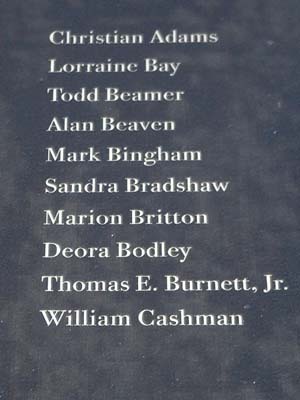 If we condemn Islam, we slur the religious beliefs of Mark Bingham's close friend Joe who is a leader of Team Bingham which sponsored the inaugural Run to Remember September 11 in San Francisco this past Sunday, and whose wedding Mark was traveling aboard Flight 93 to attend. (My son Mark had hundreds of friends, religious, nonreligious and irreligious: pagans, Christians, Jews, and yes, Egyptians, Iranians and Palestians.) If we condemn Islam, we tar the faith of the dozens of innocent victims - Muslims - who were themselves killed in lower Manhattan and Washington D.C. on that horrible morning. If we condemn Islam, we lump hundreds of millions of peace-loving Muslims together with terrorists, who make up a tiny percentage of Muslims. If we condemn Islam, we distract ourselves from our true mission: rooting out terrorism and promoting peace and understanding among all peoples. One of the most important goals of Christianity and Christians is to nurture loving goodwill among all people. Christ was a Jew. Let us ask for shalom upon our Muslim brothers. Let us show our compassion and Christ like love in this case. I hope you and I can find ourselves on the same side in the next debate. I admire your views. THE REGISTRATION FEE GOES UP AT THE END OF JULY! Many of you know about Mark Bingham on flight 93, coming out to be in my wedding. Pretty amazing man. Many of you know about Tom Burnett, sitting next to him, also a pretty amazing man. Team Bingham has joined forces with The Tom Burnett Family Foundation to host the Inaugural Run To Remember 9-11. In planning this event, I have had the honor of meeting some of the wonderful people who lost sisters, husbands, sons, and coworkers on 9-11. But there are thousands more I have not met - from around the country, from around the world - who lost dear family members and friends. But I think everyone has a connection with 9-11. Everyone who is an American. Everyone who is an American has something to grieve. 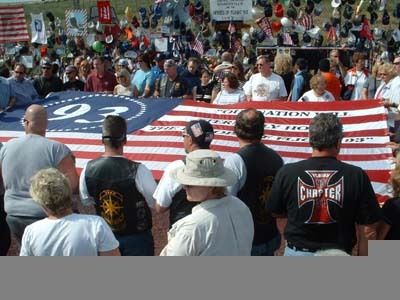 Every year, as we have gotten further away from 9-11-2001, we have lost some of the memory of these people. The Run To Remember is an event to honor those who died by celebrating their lives. To unite together to show that we are Americans who are proud of them, and who will never forget their sacrifice. The Run To Remember 9-11 is an opportunity to stop losing the memory. I am writing to get you to sign up for the Run To Remember 9-11. It is open to athletes (5k or 10k), sure, but it is targeted at everyone who wishes to honor the memory of 9-11. It is a Run/Walk event, and it is only 3.1 miles - a distance you likely cover each week walking to and from and around your workplace - and you have 2 hours to do it. If you are from out of town, we have special hotel rates. "What! ME wake up before NOON on a SUNDAY?!?" As this is the first year, we need to get 2,500 registrations to make the event a success, to make it happen every year to come, and to keep the memory alive. AS OF THIS WRITING WE NEED ANOTHER 1,000 REGISTRANTS, and the race is only 6 weeks away! Please forward this email to everyone you know - friends and coworkers - 2,500 is a big number, and we can only achieve our goal with YOUR help. Please register NOW by going to http://www.R2R911.org ! THE REGISTRATION FEE GOES UP AT THE END OF JULY! And the Award Goes to Christopher Wold. 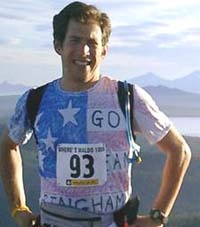 The Mark Bingham Leadership Scholarship Fund awards scholarships for the 2004/2005 school year. The Mark Bingham Leadership Scholarship Fund has awarded its second set of annual scholarships. We had a large group of enthusiastic and extremely impressive applicants this year. The selection committee narrowed the field to 4 finalists before awarding the 2004/2005 Mark Bingham Leadership Scholarship to Christopher Wold. Christopher is a fifth year student at the University of California Berkeley majoring in Sociology. His career goal is to attend law school and become an attorney with a family law practice. Chris has held many leadership positions in the UC residence halls including health worker, resident assistant, and a programming assistant. He also volunteers at a non-profit family-law legal clinic helping low income and disadvantaged families who have a child with a disability obtain social security benefits. We also had the pleasure of awarding stipends to the other 3 finalists: AnnMarie Darrow, Sandra Tesch, and Ty Lim. 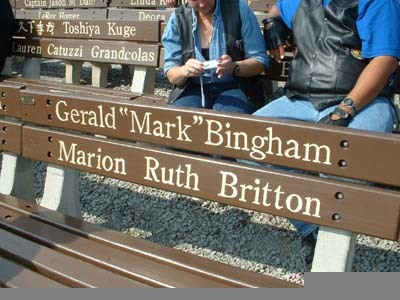 The Mark Bingham Leadership Fund Scholarship was established at the California Community Foundation to honor Mark Bingham, an American hero of September 11th, 2001 aboard Flight 93. The scholarship's mission is to help a U.C. Berkeley student with monetary support for needs such as tuition, room and board or other school-related expenses. Since our inception we have raised over $50,000 and awarded approximately $10,000 in scholarships. DAY 5 (09/13/04 Washington D.C.): A Farewell to the Tour Click Here! DAY 4 (09/12/04 Washington D.C.): Tour Updates photos Click Here! 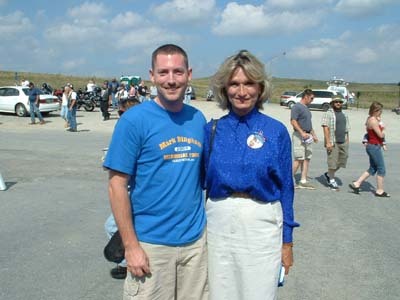 DAY 3 (09/11/04 Washington D.C. and Shanksville): Tour Updates photos Click Here! 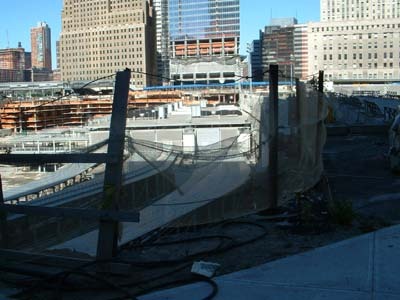 DAY 2 (09/10/04 New York Ground Zero): Tour Updates photos Click Here! DAY 1 (09/09/04 New York 1st Night): Tour Updates photos Click Here! Woodstock man to honor Sept. 11 hero Cherokee Tribune Staff Writer Jody Weaver of Woodstock will pay tribute to Mark Bingham, who died on Flight 93, by visiting the three Sept. 11 crash sites. From Thursday to Sept. 15, Weaver will visit Ground Zero, the Pentagon and Pennsylvania, where Bingham's plane crashed. Special People doing The Extraordinary in the Name of our Hero, Mark Bingham!! CLICK HERE FOR DEAILS ON HOW HE DID! On August 21, I'll be running a 100km race (62.2 miles) to raise money for Team Bingham. There are several ways to help out: by helping me at the race, by getting involved and helping with programs we're working on, or by donating to Team Bingham. Donations are tax deductible, and matchable, if you work at a company that matches charitable donations by employees. Are you kidding me? You're running over 60 miles? I'm completely serious. :-) I'll be running 62.2 miles. That's like running two marathons, one after the other, plus another ten miles tacked on the end. I'm raising money for Team Bingham, a September 11 related non-profit I helped to start almost three years ago. In selecting a way to ask for support from people I know, I wanted to do something on the same scale as what we're doing with Team Bingham. A 62 mile race (100 kilometers) seemed right to me. Mark Bingham was a hero of September 11, a passenger on Flight 93 who died trying to take back the plane from the terrorists who hijacked it. Before September 11, Mark Bingham was a successful PR executive who started and ran his own PR agency. Posthumously, he was selected as the Advocate's Man of the Year for 2001. I met Mark in 1989, when we were students at UC Berkeley. We joined a fraternity at the same time, and became roommates. From then until his death he was one of my closest friends. What does Team Bingham do? * We've developed the Mark Bingham Leadership Fund to award scholarships to student leaders at UC Berkeley with demonstrated financial need. We've raised $100,000 so far and have given awards each of the past two springs to some awesome kids at Berkeley. * We're currently working to develop the "Run To Remember", a 5k walk/10k run to memorialize the heroism on September 11, with the inaugural run targeted for San Francisco on Sep 11, 2005. Team Bingham was founded by Mark's family and friends, and now includes others who did not know Mark but are inspired by his story and the goals of Team Bingham. Our board members hail from a variety of professions - among them, technology, public relations, media, finance, law - and are located in Seattle, New York, and the San Francisco Bay Area. We volunteer our time and effort. The heart of Team Bingham is Mark's mom, Alice Hoglan. Team Bingham is a 501(c)3 nonprofit registered with the IRS. All donations to Team Bingham are 100% tax deductible. Tell me about the race you'll be running. The name of the race is the "Where's Waldo", it's run near Waldo Lake in Oregon. It's actually a much tougher race than the distance alone suggests. :-) The course includes ascents and descents of three mountains in the Willamette Ski Area: Fuji, the Twins, and Maiden Peak. The total elevation gain for the race is 11,600 feet. (As one reference point for comparison, that's a bit more than the altitude gain on Mt. Everest, from base camp to the summit.) The race is run at high-ish altitude, averaging close to 6000 feet. The temperatures during the race can range from the 20s to the 90s. This is the third year the race has been run. Over the first two years, only half of the runners have actually finished the race. By way of comparison, the comparable figure for a marathon, or even a difficult 50k, is over 90% of runners completing the race. Anyway, while the statistics are against me, I intend to beat the statistics & to finish this race. :-) My plan for the race has me finishing in just under 18 hours. * In early May I ran my first 50k race, on a brutally hilly course near Corvallis, OR. My time for the race was 7 hours, 43 minutes. * In early July I ran another 50k race. I felt great during the race, and cut an hour off my time from the 50k in May. The next day, I felt good enough to drive down to Mt. Rainier and hike up to Camp Muir with a friend. Training for this has been incredibly engrossing. So for those who haven't heard from me in a little while, now you know why :-) During the week, I typically run Tuesday, Wednesday, and Thursday. I do long runs on Saturday and Sunday, which, with travel, running, and recovery, has taken up most of my weekends this spring and summer. Naturally (and sadly!) I've had to cut back on the wine tastings and wine dinners that are usually a big part of my week and especially my summers. I've learned a lot about sports nutrition, and have almost doubled what I eat. For carbo-loading dinners, I've eaten as much as four pounds of risotto. It's not very comfortable :-) but it's helped my running a lot. I am so, so tired of eating oatmeal for breakfast :-) which I do for extra carbs. I've learned to run at night, in pitch darkness, on hilly trails in the woods, a skill I'll need for the upcoming race. I've had a couple sessions with a running coach - by good fortune and coincidence, the best trail runner in the US lives in Seattle and has a coaching practice. I've mostly recovered from a knee injury I got training in May, shortly after my first 50k in Corvallis. Now, I find that the hardest part is actually learning to run at a pace slow enough that I can maintain it for 18 hours. * Race crew. It would be really great to have a race crew (one or more people) to support me during the race. The gist of this is to drive and hike to the various aid stations during the race and help me when I arrive there, after working with me in advance to coordinate the food, water, clothing, and equipment that I'll need at each stage of the race. I'll begin the race at 3am and will finish between 8pm and 9pm. It's a long day for me, so getting the logistics of food, drink, and clothing will be essential for me to finish the race. No prior experience necessary to help with this. But you'd need to be super reliable, and be able to hike 3 miles on moderate hills. Let me know if you're interested, and I can provide more details. It'd be great to have help with this, and it's an *incredible* morale boost to see a friendly face during the run. Note to my running friends: the race allows pacers to accompany runners beginning at any aid station after mile 33. So if any of you would like to run the part of this with me - the final 7, 11, 16 or more miles - that would be awesome. No need to worry about "keeping up" since I'll be going very slow at that point. * Get involved with Team Bingham. Let me know if you're interested in helping out. There's a lot to be done...! Especially in coming months as we lay the groundwork for the Run to Remember. If you work at a company that provides matching gifts for charitable donations, let me know and I can provide you our Federal Tax ID number, and any other info that you need. Of course, if you have friends, or know of organizations that would be interested in supporting Team Bingham, please feel free to forward this mail to them. Thanks for your support. Anything you can do would really mean a lot to me. Each person has his or her own way of remembering September 11th, the day countless lives were changed forever. Perhaps you will volunteer in your community, donate blood or take a moment for quiet reflection. One Man in an Atlanta suburb will be spending the anniversary of 9/11 on an emotional and physical journey paying his respects in honor of our own hero, Mark Bingham. Jody Weaver, a 30 year old Financial Controller, began planning what he has named the "Mark Bingham Memorial Tour' in the early months of this year. Although most of his trip will be traveled alone, Jody feels blessed to have the emotional support of his family, friends and even people he has never met as he embarks on the journey which will take him to Ground Zero, the Pentagon and Shanksville, Pennsylvania. 9/9/04: Depart Atlanta, Georgia and arrive in New York. 9/11/04: Participate in the Memorial Service at Ground Zero. 9/12/04: Depart New York and arrive in Washington D.C. to visit the Pentagon and pay respects to the victims there. 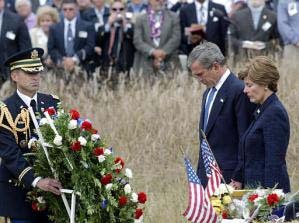 9/14/04: Drive from Washington D.C. to Shanksville, Pennsylvania to the site where Flight 93 crashed on the morning of September 11, 2001. 9/15/04: Depart Washington D.C. and arrive back in Atlanta, Georgia. 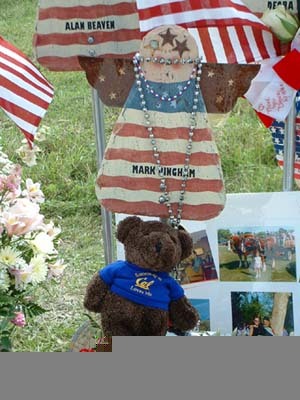 Each day, MarkBingham.org will be following Jody's travels and updating the site to include his journal and photos. We hope you will visit the site during the Mark Bingham Memorial Tour and experience the journey with us. Anyone who wishes to support me in this memorial tour can make a donation to Mark's leadership fund (click here). I've had a few emails from people who wanted to donate money for my trip, although I appreciate their offers, I would prefer that they support the Mark Bingham Leadership Fund instead. Cherokee Tribune Staff Writer Jody Weaver of Woodstock will pay tribute to Mark Bingham, who died on Flight 93, by visiting the three Sept. 11 crash sites. From Thursday to Sept. 15, Weaver will visit Ground Zero, the Pentagon and Pennsylvania, where Bingham's plane crashed. Weaver said the story of Bingham, who is credited with helping overtake terrorists to crash the plane, inspired him. "Mark has proven to become one of my greatest heroes, even though I never had the chance to meet him in this life," Weaver said. "Mark's character was that of a caring son, loyal friend, heroic and patriotic American. 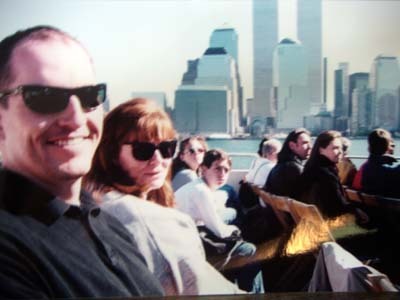 I hope that this trip will in some small way serve as a testimony to my undying and everlasting appreciation for what he did on the morning of September 11th." Bingham, 31, was sitting in seat 4D in the rear of first class on United Airlines Flight 93 from Newark to San Francisco. 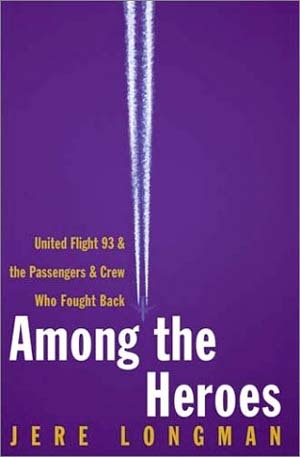 The plane at 10:03 a.m. Sept. 11, 2001, crashed into a grassy field outside Pittsburgh. According to government officials, evidence shows Bingham helped prevent the hijackers from reaching their intended target. The target may have been Camp David, the presidential retreat in Maryland. 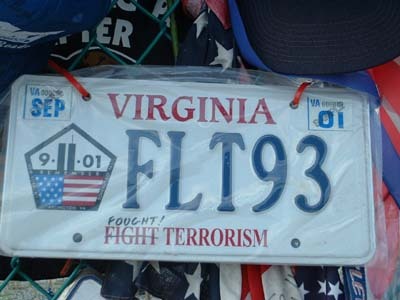 Flight 93 was the only one of the four hijacked planes that missed its target. Weaver said he was touched by the story of Bingham. "His heroism far exceeds anything I could ever accomplish in this life, however I will do my best to live life to it's fullest and cherish every moment I have on this plain," he said. "That's what Mark would want us all to do, and I think I owe him that. Because of Mark and his heroic efforts on 9/11, the trip I began planning in his honor is soon to become a reality." Weaver said he choose to honor Bingham, as opposed to another hero from Sept. 11, because of their similar life paths. "When I began following the story of Mark Bingham, I suppose I felt a kinship for him for many reasons," he said. "Aside from the commonalities we shared such as closeness of age, professional similarities and personality likenesses, Mark and I were at similar crossroads in our lives." Weaver, 30, recently lost his job with R&B Mechanical Company in Cartersville after the company owners decided to retire. He will begin his new job as financial controller for a company based in Birmingham, Ala. in October. He is making the memorial trip prior to accepting his new job, and the money comes out of his own pocket, including airfare, lodging, rental cars and donations. "Again, like Mark, I had to tell myself 'you can do it,' and I began making plans to sell my home in the quiet rural area of northern Cherokee County and pursue the incredible opportunity that awaits me in Birmingham," said Weaver, who previously lived in the Clayton community. "It was a hard decision for me because my home had been in my family for four generations. My family and most of my friends also live in that area. This was going to be a life-changing decision. But, before I jumped into this new era of my life, I wanted to do something special, in memory of Mark and the sacrifice he made for me and for all Americans," Weaver said. "But I kept asking myself 'what should I do?' This is when the idea for a memorial trip was conceived." On Thursday, Weaver will fly from Atlanta to New York, where he will visit the site of the World Trade Center and on Sept. 11 he will participate in the memorial there. He will leave New York on Sept. 12 and fly to Washington D.C. where he will visit the Pentagon. From there, he will drive on Sept. 14 to Shanksville, Pa., the site where Bingham's plane crashed. On Sept. 15, Weaver will return to Washington D.C. and then fly back to Atlanta. Weaver and several close friends on Sept. 30 will leave Atlanta for a Caribbean cruise to celebrate and pay a final tribute to Mark Bingham. "We will also be celebrating the birthdays of two of the people accompanying me on the celebration cruise," Weaver said. "This part reminds me even more of Mark. 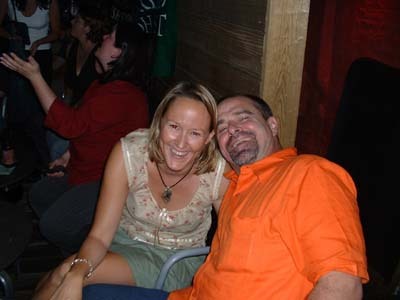 Mark loved to travel, and even more loved celebrations with his friends. I think he will be with us all in spirit." Due to this trip, Weaver has had made contact with two of Bingham's closes friends, Amanda Mark and Matt Hall, who was the last person to speak to him. 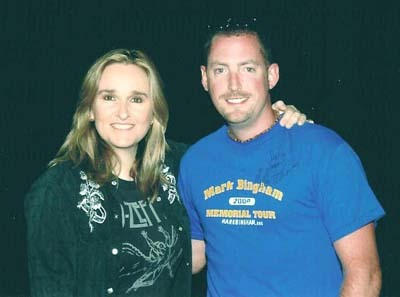 He also met Melissa Etheridge at a recent concert he attended. Ms. Etheridge dedicated the song "Tuesday Morning" on her new CD "Lucky" to Bingham. During his trip, Weaver will keep a journal and document the visits with photos. "I plan to continue keeping the journal throughout the trip," he said. 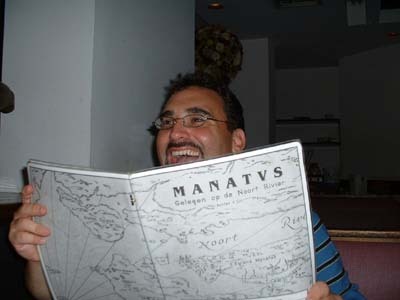 "Once I return home to Atlanta, I will put this entire journal together, along with all the photos taken during the trip and present this and a monetary donation to Mark's Leadership Fund to his Mother, Alice Hoglan as a token of my appreciation to her for bringing such a wonderful, courageous and heroic person as Mark into this world." 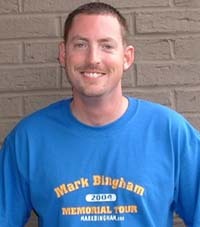 For information and to donate to the memorial Fund, visit the Web site at www.markbingham.org. The memorial fund was established to help fund tuition at Mark's alma mater, University of California at Berkeley. The site also will follow Weaver's journey and display clips from his journal daily. The first day of the tour in memory of Mark was filled with many of the things Mark himself treasured most...friends, laughter, meeting new people, cosmos and of course celebrating Amanda's birthday. I was fortunate enough to experience all of the above on the first day of the trip. 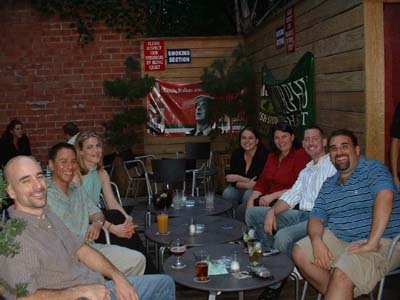 group shot of the birthday part for Amanda at Croxley's Ale House in the East Village. Chris and I arrived safely in New York at about 11:00am. We spent a majority of the day with Chris' family before setting off on the "L" line for Manhattan's 1st avenue station. Matt Hall had called me earlier in the day with the where's and when's. 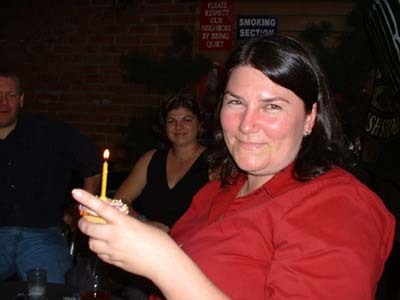 We were meeting at 6:00 pm at Croxley's Ale House on Avenue B in the East Village where we would join Amanda Mark and several of her friends to celebrate her birthday. I enjoyed meeting and talking with Mark, Matt & Amanda's friends. The group was so welcoming, I felt as if I had known these guys forever. Matt brought me a package of photos of Mark including photos of the Shanksville site. We also talked alot about traveling down to Shanksville on Saturday. My plan was to travel from D.C. to Shanksville on the 14th, however after talking with Matt, we're thinking about adjusting the itenerary a bit so that we might be in Shanksville on 9/11. Matt and I gave Mark's mom, Alice, a call from the birthday party. We could tell from talking with her that she would loved to have been there with us celebrating Amanda's birthday. She was making plans for her visit to Shanksville on 9/11. We're hoping to meet up with her there if all works out. After leaving the party and wishing Amanda a happy birthday, Matt Hall became the best guide a person could ask for. We made our way from the East Village to Chelsea, of course stopping in for drinks here and there along the way and finally for a bite of late dinner. We went by where Mark and Amanda lived prior to 9/11. Matt showed us where he and Mark had dinner the night before he left Newark's airport on the morning of 9/11. Mark's friends at the birthday party. We ended the evening pretty late, in true Bingham fashion. Chris andÝI said goodbye to Matt and headed back to Chris' brother's home across the River. 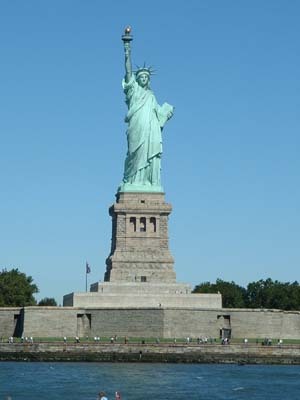 Day two of the trip will be filled with sight-seeing, a visit to the Statue of Liberty and seeing "Chicago" on Broadway. I've also got to speak with Matt a little more about re-arranging my schedule so he and I can get down to Shanksville on the 11th. I'll write more soon. I realize why everyone loves New York. 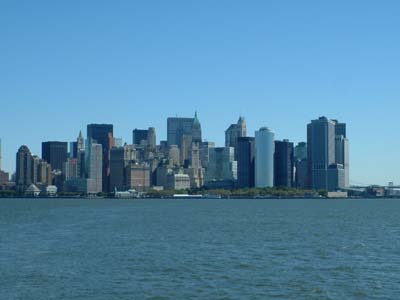 Today's weather couldn't have been better for a walking tour of the big apple. Chris and I headed out early for Battery Park where we caught a ferry for Liberty Island. The security process to visit the island was more than I expected. You must go through a screening process similar to that at the airport prior to boarding the ferry, and an additional screening once you arrive on the island. The story behind the Statue itself is amazing. The symbolic aspect of Lady Liberty reminds us of how fortunate we really are to live in a free land. I was amazed at the diversity of the people around me visiting the Island. People from all walks of life, different countries, various cultures all gathered at what I feel is our Nation's most treasured icon. I found the visit to be emotional and most memorable. After visiting the Statue of Liberty, Chris and I made our way to Ground Zero. The former site of the World Trade Center was crowded with people paying their respects to those who were lost on the morning of 9/11. It was a very quiet place. 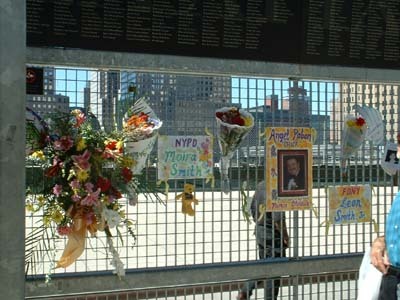 People were placing flowers at various points around the fencing which surrounds the site. 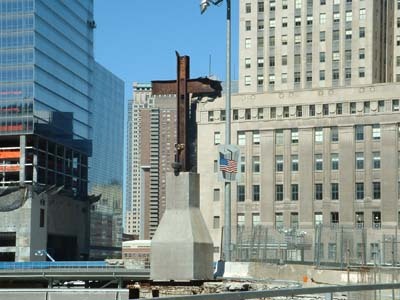 Chris pointed out a cross made from steel recovered from the debris after the towers were destroyed. A giant American flag was attached to a building adjoining the site. Nearby, people were stopping off at Ladder 10 where the fireman stationed there had a plaque honoring the fireman lost out of that unit. I spotted the plaque honoring the victims of UA Flight 93 along with the plaques listing all the names of the victims of the attacks. It reminded me somewhat of the Vietnam Memorial in D.C.
Chris and I ended the day visiting Broadway and catching the musical Chicago before having dinner in Chelsea and heading back home. I was able to rearrange my schedule a bit and am flying out at 8:30 am on 9/11/04 for D.C. where Matt Hall will meet me at the airport. He and I will be driving up to Shanksville tomorrow morning to meet up with Alice at the site where Mark's plane crashed. I'm glad Matt will be accompanying me for the trip up to Shanksville and look forward to spending some time with Alice and paying our respects to our hero, Mark. Thanks for sharing this experience with me. On this, the anniversary of 9/11, it is hard to describe what it felt like boarding a plane in New York and heading into D.C. The airport was strangely quiet. People in the concourse were engulfed in their daily papers, each headline similarly reflected what today is. At 9:30 am I safely landed in D.C. where Matt Hall and his friends Holly & Nan met me and we proceeded toward Shanksville. The drive from D.C. to Shanksville is about 200 miles. When we arrived at the site, we found a rather large host of people gathered around the temporary memorial. Several news trucks and various media were scattered among the crowd. 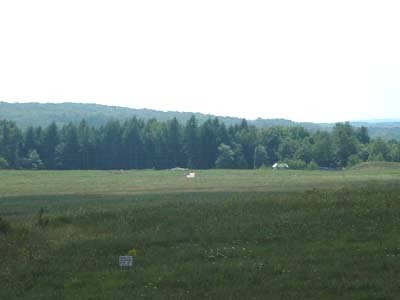 In the distance you could pretty easily make out where flight 93 crashed. The tree line still shows the damage made by the fire. The area immediately surrounding the site is fenced off. A temporary memorial has been erected on the hillside facing the crash site. People from all around the Country have visited the site and placed various items in remembrance on the chain link fence. After playing some phone tag with Alice, we soon were able to join her where a group hug seemed to bring us all together as a family. For those who have never had the pleasure to meet Mark's mom, Alice, I must say you will never meet a more gracious and loving person anywhere. It's easy to see why Mark fondly labeled Alice as a Goddess. We spent some time with Alice talking about Mark, about the memorial trip and just enjoying being all together in Mark's honor. Alice eventually had to part from the site for an interview in Pittsburgh before leaving for home. The four of us spent a while longer reflecting on Mark and talking with other people at the memorial site. I found the site to be a very peaceful place. Though there's a harsh reality of this being the place where Mark and the other heroes were lost on 9/11, I found that I left the site with a sense of peace knowing Mark's okay. He died with the other heroes doing what he knew was the right thing to do. Experiencing the site with Matt, Alice, Holly and Nan was something I will treasure always. It seemed in that instant we were strengthened by eachother and our connection with Mark. 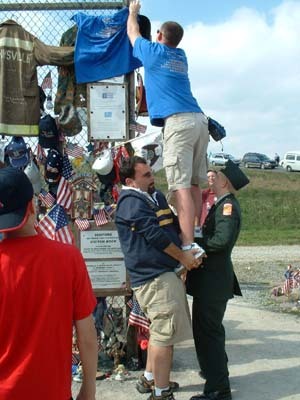 Jody placing memorial tour shirt on fence at temporary memorial. Leaving the site, I turned and looked at the grassy field where the plane crashed and a thought ran through my mind. I looked at Matt walking just a few steps in front of me and thought further about how moments earlier I had met with Alice. Through Mark, my life has been further enriched. Mark's legacy inspired me to contact and eventually meet Matt, Alice, Amanda, Holly, Nan and so many others. I feel a connection with each of them that I feel I will carry for the rest of my life. It's Sunday in Washington and it was nice to spend today winding down from the previous three days which were spent traveling from state to state. Matt and I began our day with breakfast with some of Matt's friends from New York who are here in Washington for the Rodeo. We attended the Rodeo dance on Saturday night, where I had the pleasure of meeting the group. Though none of them had ever met Mark personally, all of them knew of him in detail through their friendship with Matt. One of the group, Tom, was also a former Rugby player in New York, so it was interesting to hear him talk about the sport Mark loved. Matt and I spent the afternoon touring Dupont Circle where our hotel is located. I had the opportunity to visit the Human Rights Campaign store which is located near the Metro line in Dupont Circle. We ended the day meeting up with our friend Holly for dinner and drinks. All in all, it was a pretty relaxing day. It gave me alot of time to reflect back on the previous day and my visit to Shanksville. I also visited Mark's memorial site and enjoyed reading all the postings to Mark's forum. It's a great feeling to know that people are remembering Mark. That's how we keep his spirit alive. Tomorrow, we'll be visiting the Pentagon and other sites througout D.C.
Today (Monday, Sept 13th), Matt and I made our way from Dupont Circle to the Pentagon. My research prior to the memorial trip indicated that the Pentagon offers daily tours every hour, on the hour. Unfortunately, the information on the Pentagon's website is a little old. Seems they haven't updated the site since 9/11/01! When Matt and I exited the Subway at the gate of the Pentagon, we were quickly intercepted by an armed Pentagon Security Official who told us that the tours have been cancelled since 9/12/01. It must have been pretty obvious that we were tourists. The armed guard actually ended up speaking with us for a little bit as we explained to him that we were doing a memorial tour for Mark Bingham. The guard allowed us to walk around the perimeter of the Pentagon and told us exactly where we would be able to see the future Pentagon Memorial and the location where the plane struck the pentagon on the morning of 9/11. We thanked the guard, and Matt got a great laugh out of me attempting to shake the guards hand. The guard apologized and pulled back slightly away from my hand and nodded down toward his armed machine gun. I stumbled for words for a brief moment and quickly headed in the direction the guard told us to go. Oh, and by the way, no photographs are allowed on the Pentagon site for security reasons. Honestly, I think I could have gotten away with taking the photo, but Matt seemed a little nervous about all those machine guns everywhere. We made our way to wall 3 of the pentagon where it was pretty obvious by the discoloration where the granite had been replaced. We also found a rendering of the proposed memorial garden. Matt and I left the Pentagon where we noticed the same armed guard explaining to another group that the tours were cancelled. Seems the Pentagon would update that website, huh? Matt and I decided to say goodbye to Washington a little early, so we went back to our Hotel in Dupont Circle, retrieved our bags and headed back to the Metro. I said goodbye to Matt where our trains went in different directions. Matt headed off for Union Station where he was planning to take a train back to New York, I headed toward Washington-Reagan Airport for a flight back to Atlanta. You've inspired me to be a better man. Your legacy and spirit has brought so much to my life. Because of you and the sacrifice you made on that Tuesday morning, people's lives were spared, Dad's and Mom's were able to come home to see their kids and the first battle against terrorism was won. You were a hero to some before 9/11, and today you're a hero to all. I will always work hard to keep your memory and spirit alive. I will live life to its fullest and cherish each moment. I will work hard and play hard. I'll always tell people how I feel about them and not be afraid of doing it. Thanks for enabling me to meet new people and share your ride. When my time on earth is over, I'll look for you and give you a big hug, all the while hoping that I made enough out of my life that somebody, somewhere will be working to keep my memory alive too. Rest well Mark and always know we are "With you". Happy 34th, Mark. I get a hangover feeling just thinking about what we would've been doing tonight if you were still here. Everyone misses you, Mark. No one whose life you touched will ever forget you. 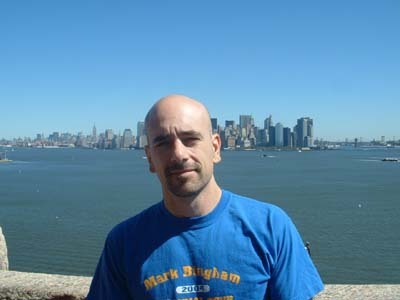 Mark with New York's Twin Towers! 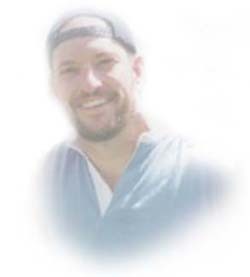 www.poltroonsrugby.org is the website of a rugby club in Washington D.C. that hosted its "Mark Bingham Memorial Cup"
Remember and Celebrate Mark Bingham everyday! Again PLEASE NO ADS. Inappropriate Postings will be ERASED immediately! (you know what they are!) Respect Mark and his Forum! Use it as it is intended! Thank you! To Contribute to the MARK BINGHAM LEADERSHIP FUND Online NOW! 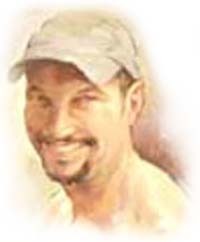 More Web Sites on Mark Bingham our Hero on Yahoo! Sen. John McCain, R-Ariz., delivered a eulogy on Saturday to honor Mark Bingham, one of the passengers on hijacked Flight 93 who may have helped prevent the plane from hitting a Washington, D.C., target. Speaking before a crowd of 500 people who gathered at the University of California at Berkeley for the memorial service, McCain praised Bingham's heroic sacrifice that may have saved many lives. "It is now believed that the terrorists on Flight 93 intended to crash the airplane into the United States Capitol where I work, the great house of democracy where I was that day," the senator said. "It is very possible that I would have been in the building, with a great many other people. "I may very well owe my life to Mark and the others who summoned the enormous courage and love necessary to deny those depraved, hateful men their terrible triumph. Such a debt you incur for life." Sen. McCain flew from Washington to honor Bingham, a former star rugby player for Berkeley who was also an openly gay supporter of McCain's presidential campaign last year. "I know he (Bingham) was a good son and friend, a good rugby player, a good American and an extraordinary human being," the senator said. "He supported me, and his support now ranks among the greatest honors of my life. I wish I had known before Sept. 11 just how great an honor his trust in me was. I wish I could have thanked him for it more profusely than time and circumstances allowed." This web site is dedicated to my friend, brother, and hero, Mark Bingham, and everyone affected by the tragic events of September 11, 2001. My heart and prayer are with you. I extend my condolences to all who have lost loved ones and friends. September 17, 2001, Governor Davis, Senators Feinstein and Boxer, the Arch Bishop of California and dozens of other officials recognized Mark as a national hero, and offered a flag flown over the capitol to his former partner, Paul Holm. Paul will give this flag to Mark's mom. I am inspired by this ray of light in the midst of such turmoil. To borrow from Paul's beautiful speech at the ceremony, let me say that I have never been so proud to be Mark's friend, a San Franciscan, and an American. It's hard to come up with just one story or two in a half a lifetime of friendship with someone as special as Mark. I can't do that right now. However, I do want to share with you all a little bit about what I have learned from Mark and what I am going to do with my life to carry on his legacy. Stacey Clegg, one of mine and Mark's good friends, brought me a copy tonight of the Contra Costa Times in which I was quoted as saying that Mark was absolutely fearless. That just may be true. It may be true that he had no fear. I guess I tend to believe that the truth is that Mark did have fear, but that he took action anyway. He didn't let fear rule his life. He lived life to the very fullest. Many of you have heard the story of how a couple of guys, one of them with a gun, tried to mug Mark and his friends Mike and Paul. Mark jumped in front of his friends to protect them, knocked the gun out of the attacker's hand, and proceeded to beat the crap out of them until they ran away. Does anybody here doubt what happened on that airplane? Mark was brave. 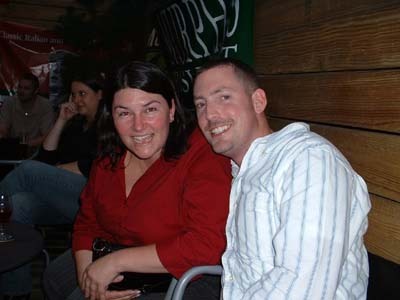 Mark was a loyal and loving friend. And like I said before, Mark lived life to it's fullest every single day. I am not really sure what I ever did to deserve Mark as such a close friend for so long. The best I can figure is, I haven't done it yet. There is a lot of talk of fear right now in our country. On some level, we are afraid as a nation of some things we weren't afraid of just last week. I want to talk about the ways in which it seems we are letting go of some fears. These fears I am talking about are the ones that keep walls between people. Fears that keep us from truly living life and from experiencing the love we need and deserve. All around the country right now, people are being nicer to each other. They are feeling more like one people than at any time in recent memory. I heard a reporter in NY speak of how amazing it was to ride the subway - that people were actually making eye contact. People from coast to coast are taking the time to tell their friends and family how much they truly love them. The walls we build between us seem to have, at least temporarily, fallen. Fear can ruin a friendship. Fear can ruin a marriage. Fear can, at the very least, render a life completely and utterly mediocre. We admire Mark because he had all of these wonderful qualities that I and everyone else here have talked about tonight. What I hope you realize that you love these qualities not just because Mark had them, which he did, but because you do, too. You just may let fear get in the way of how those qualities show up in your life. Here's my challenge to you, the challenge I am giving myself. I challenge you to not necessarily be fearless, but to recognize your fear and to act anyway. To take action and make the most out of every single day. To not let fear of failure keep you from trying at all. To not let fear of rejection keep you from showing up every day of your life. I love you, Mark. I always, always will. I will make my life great, I swear I'll make you proud.